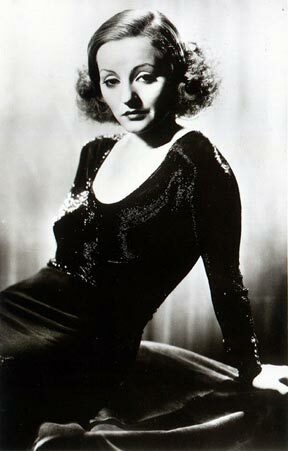 Seductive, whiskey-voiced, one-of-a-kind American leading lady Tallulah Bankhead, the daughter of the Speaker of the House of Representatives William Brockman Bankhead, began her stage career at age 15 after being educated in a convent. She did more stage work plus two silent films, then went to London in 1923 where she became a celebrity while performing brilliantly in a string of plays. The hot-blooded Bankhead preferred to live dangerously and became notorious for her uninhibited behavior (such as taking off her clothes in public), a tendency many have seen as detrimental to the use of her considerable talents. She appeared in two British silents before coming to America in 1930; signed by Paramount, she began her movie career in earnest but remained more a fixture of Broadway, where she shone in plays such as The Little Foxes (for which she won the New York Drama Critics' Circle Award in 1939, an award she won again in 1942 for The Skin of Our Teeth). Her movie career was spotty and included several box office disasters, perhaps because her extravagant, larger-than-life personality was not done justice on the screen; her more memorable appearances include a celebrated performance in Hitchcock's Lifeboat (1944), for which she was cited by New York Film Critics. Bankhead made only three more films after Lifeboat. She is divorced from actor John Emery. In 1952, she wrote her autobiography, Tallulah.